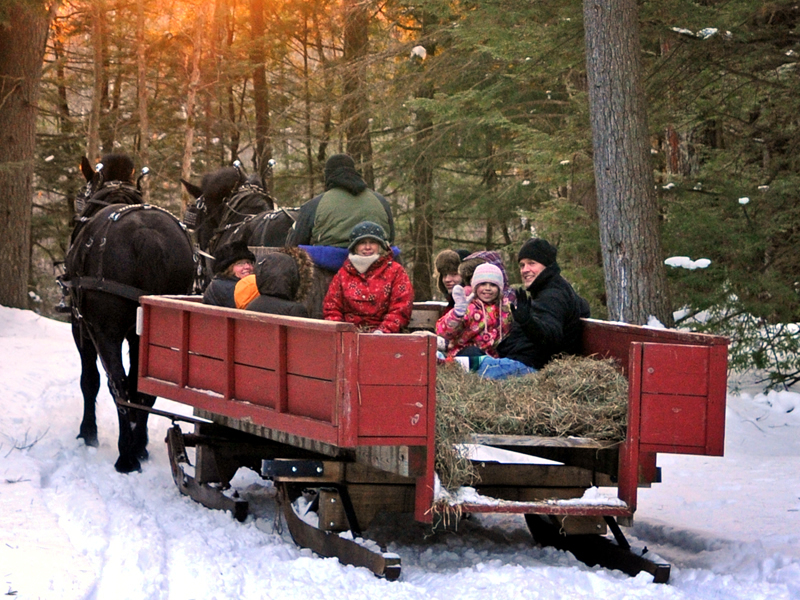 Travel along the snow covered trails passing by our winter pastures leading into the forest. Travel along the snow covered trails passing by our winter pastures leading into the forest. You will make a stop at the bonfire for about 40 minutes and are welcome to bring along your own refreshments to enjoy fire-side. Voucher must be converted into a booking by visiting RedeemDeal.com by February 22, 2019. One voucher per person- No Limit on number purchased. If weather does not permit runners, wheels will be used as substitute. Voucher expires 2/22/19 – no refunds.